IMCDb.org: 1983 Lada Riva 1300 GL  in "GoldenEye, 1995"
The parked car on the right. Rather just one star, the tank just crushes it. Was it really filmed in Russia. 2105 looks more like an export version - Riva or something like that. I think so. The style and the condition of the houses in the background are looking Russian. It reminds me to St.Petersburg. 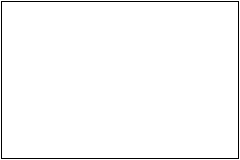 The St Petersburg scenes are a mixture of the real location and a set built outside the studios in England. I think some of the chase was actually filmed in St Petersburg. Weasel1984 wrote 2105 looks more like an export version - Riva or something like that. Well it could be a British market Lada, this shot was probably done on the set in England. Some scenes were filmed in Russia for sure. But see the comment on main page that some T55 tanks are fake, on the other hand I'm not sure is it true (tanks aren't my hobby). Yes, that's what I meant G-MANN. Or it's a re-imported one. In the early 90ies a lot of Lada's in the former GDR (for GDR-people it was the premium-class-car) were bought by Russians (often leaving Red Army-soldiers) and brought back to Russia. The scenes with the IZh 412, the GAZ 24 and the two police-Ladas were definetely made in St.Petersburg. I have a feeling this particular shot was done on the set they made in England (it's one long street, so those building fronts are probably cardboard mockups). I think the main tank (the one Bond drives) was a geniune Russian tank, but in the bit where he smashes through the library window and into a courtyard full of military vehicles, the other tanks are ex-British military tanks dressed up to look like Russian ones. 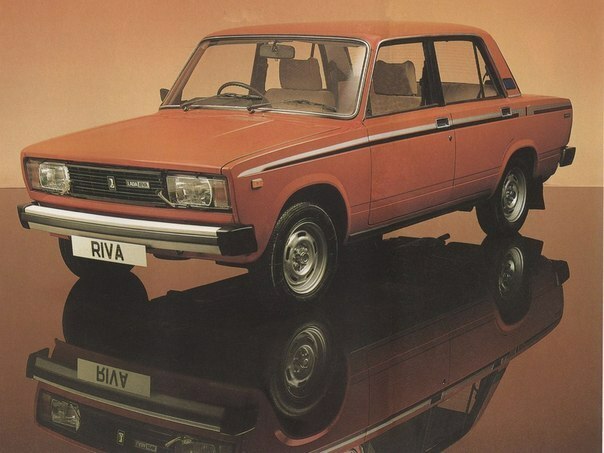 Anyway if this definetely is the export version, should it be renamed as a Lada Riva (or whatever)? For me it looks like that - black roof, side stripes and position of wipers. Can be listed as Riva. Ingo wrote The scenes with the IZh 412, the GAZ 24 and the two police-Ladas were definetely made in St.Petersburg. The IZh 412 shot and the wide shot of the canal definitely show real St Petersburg locations. I agree with G-MANN that this shot was probably filmed on the set; after all, it's a relatively narrow street with buildings at most three or four storeys tall. And these are just the fronts of buildings, there's probably nothing behind them. In the shots where very large buildings and landmarks are visible (stuff you couldn't recreate with a set), like this shot /vehicle_18327-Lada-Samara-2108.html, those are the on-location shots. The scenes with the real T-54 were shot on a backlot in Britain. These have the export version cars and non-Russian cars (as well as that Polish-style statue). The scene with cars you would actually find in Russia, at least in 1995, were filmed in St. Petersburg, without Pierce Brosnan, using a mockup T-54.